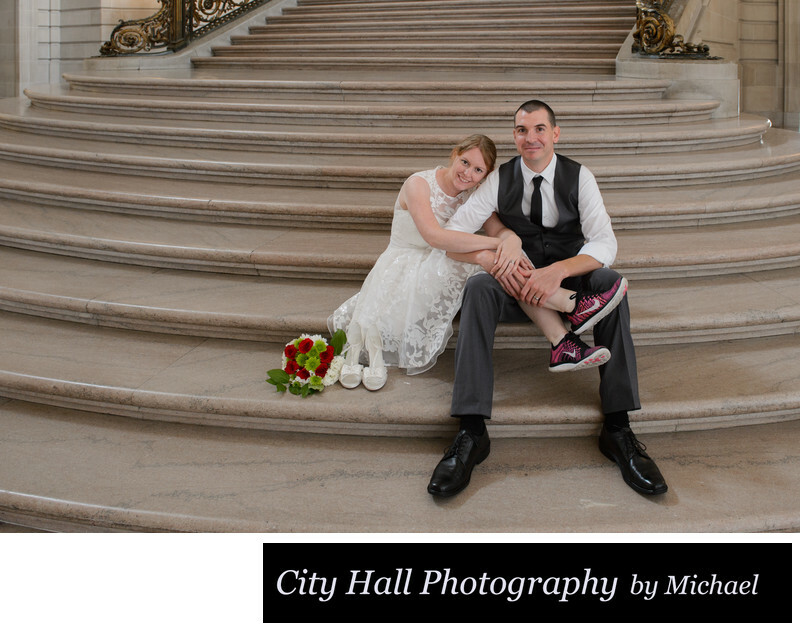 This fun bride had a little surprise for towards the end of our photo session at San Francisco City Hall - cute red high top shoes! She changed into them after we had completed most of our formal wedding photography around the building. We then did a series of photographs with her wearing the shoes including the one you see above. We love it when our couples incorporate their own props into the photo session. It individualizes the photography session and makes it more about them! Plus this was super cute and fun and we loved her idea!